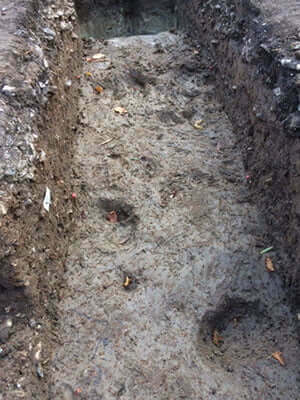 The Blick Mead site has built up a timeline revealing that hunter / gatherers came to Blick Mead between 8,000-4,000 BC, making the site the most long-used in British history in the whole of the country. Unlike anywhere else in Britain, nomads, the previous occupants, were there at the time the first farmers settled in the Stonehenge area, having come across from the continent. The multi-cultural contact between the two groups may be the key to unlock why Stonehenge was built where it was as the nomads had made monuments there and seen it as sacred thousands of years before could have passed these beliefs on to the new settlers. However, the crucial place of evidence, which is the only place in the country where British history can be traced back to the end of the Ice Age, will be destroyed by the flyover and the tunnel. The Blick Mead Project has been nominated for the prestigious Current Archaeology Research Project of the Year Award 2018.